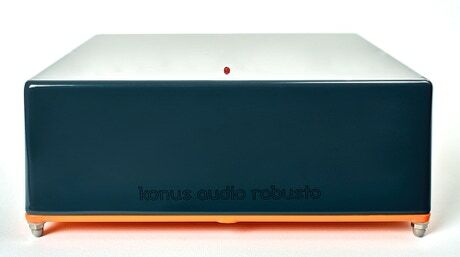 Konus Audio Robusto 1000 power amplifier is no-compromise dual-mono power amplifier that will drive most of loudspeakers to a sonic bliss. With huge reserve of power, it is capable of reproducing even the most dynamic music sections with great ease and authority. It portraits music with beauty and finesse. Konus Audio Robusto 1000 power amplifier is completely in-house handmade product using the highest quality components and high-end hardware. Konus Audio Robusto 1000 is also available as Konus Audio Robusto 2000 Mono, in matched pairs of monaural amplifiers.